In November of 2017, our Joy/Hope had an event at Church where the children got to put a big smile on other’s faces with pictures of turkeys they colored in. After each child colored their picture of a turkey, we collected them and mailed them to a non-profit group called “Color a Smile” in which they distribute them to elderly in need of a smile when looking at the work of children and sometimes they will mail them overseas to the military for comfort to our troops. We also decorated our own turkey cupcakes and played some fun games. Also each child wrote what they are thankful for on a turkey feather and it was placed on the body of the turkey located on our Joy/Hope board in the hallway of the Church. 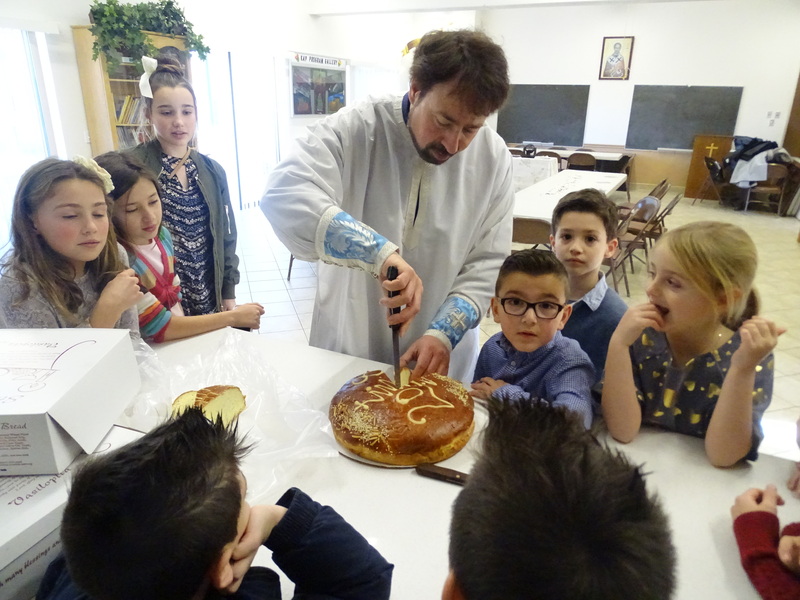 Our next event was in January 2018 for the cutting of the Vasilopita and having the meaning of the coin in the Vasilopita explained by Father Panagiotis. We also got to play some excited bingo games that the children really enjoyed and became somewhat competitive. In the next few months we are looking to go bowling, possibly going to a movie and in April we will teach the kids how we make the palm crosses for Palm Sunday. First Movie Night 3/23/16 with fresh Popcorn! Third Annual Bowling Day 3/13 at Strathmore Lanes, Aberdeen with 25 bowlers and parents! The Bowling outing took place on March 13, 2016, Sunday at AMF Strathmore Lanes, Aberdeen. 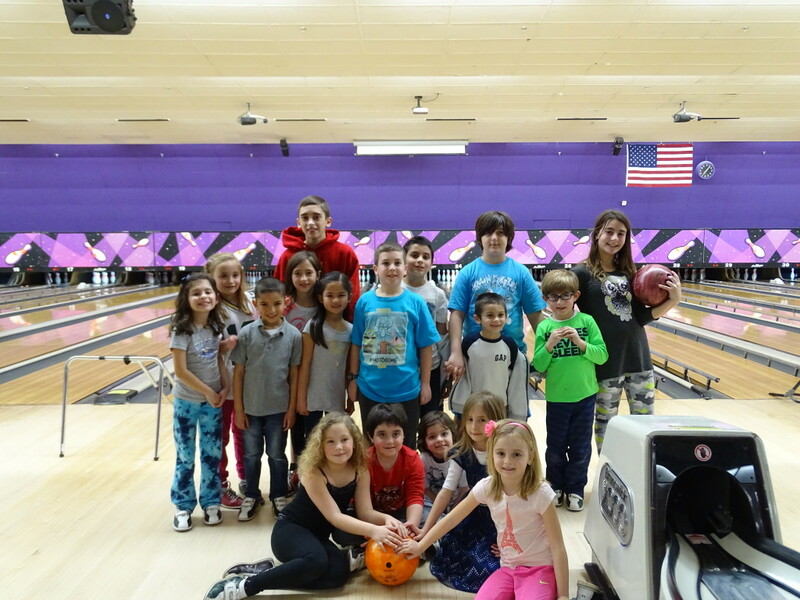 Both kids and parents took part in having fun bowling together and had some laughs as well. We also had pizza and some refreshments during our time there. This is our 3rd year going as a group to a bowling outing. We had a great turnout with 25 bowlers of both kids and parents. We had our first Movie Night in February on Friday the 26th for the children to see Air Bud Monkey Up. We had the children come dressed in PJ’s or comfortable clothing and they brought sleeping bags and /or blankest and pillows to put down on the gym floor to watch the movie comfortably. 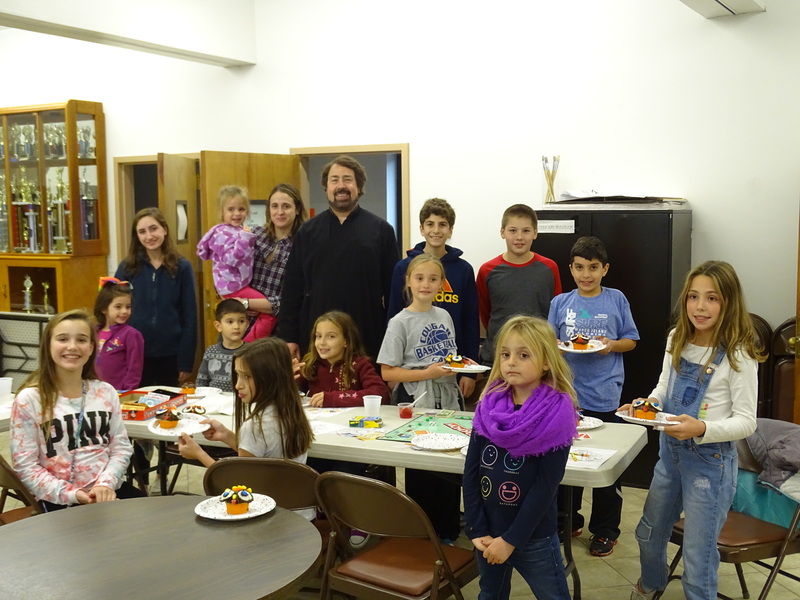 Just before the movie started Father Panagiotis came in to talk for 10-15 min to the children. We had 2 parents bring popcorn machines from home and we popped fresh popcorn for everyone and also had large salted pretzels with refreshments so the kids enjoyed the movie like at a theater. A fun time was had by all!! 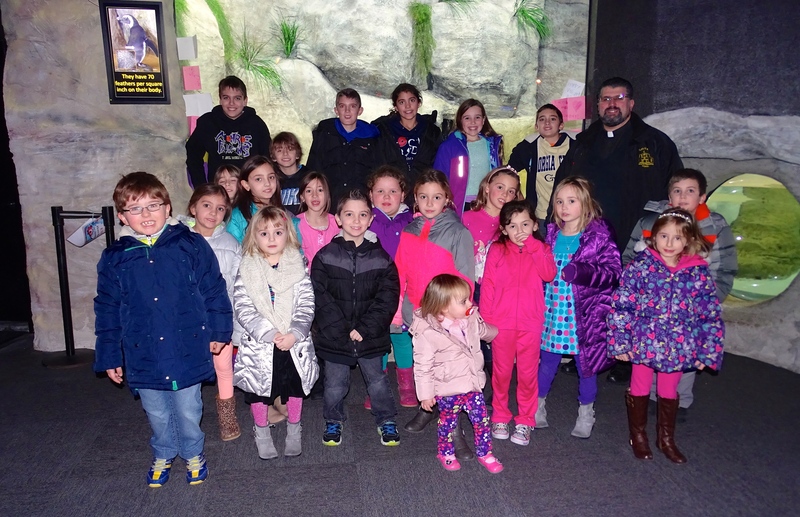 Hellenic Orthodox Primary EducationThe HOPE is the ministry to children ages 5 – 7 of the Greek Orthodox Archdiocese of America. Since HOPE is a ministry, the orientation and implementation of the program will reflect the Orthodox Christian Faith, Tradition and Life.The mission and goal of the HOPE ministry is to lead our children in to experiencing the Holy Orthodox Faith. By developing a personal relationship with our Lord and Savior, Jesus Christ and becoming active sacramental members of the living church, our children will be equipped with tools necessary to assist them in their journey toward salvation. By laying a foundation of faith at this age, the young people will have something that will guide and strengthen them through life. 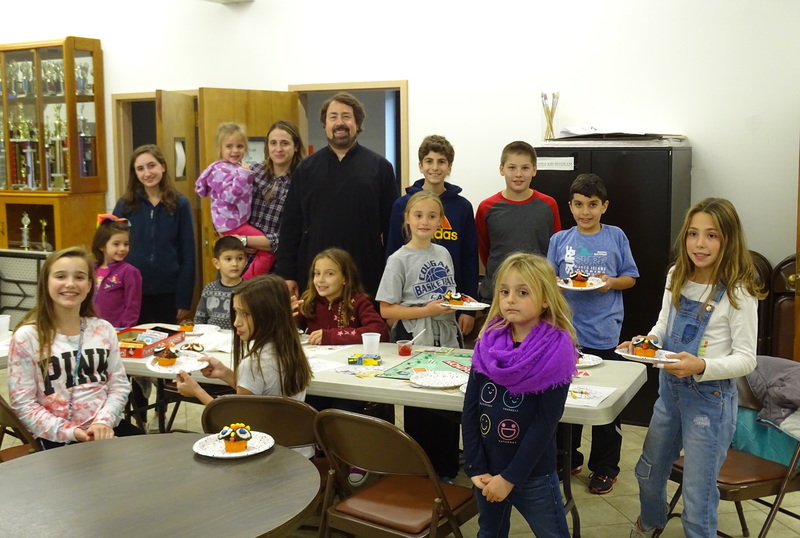 Junior Orthodox YouthThe Junior Orthodox Youth, or JOY, is the ministry to children ages 8 – 12 of the Greek Orthodox Archdiocese of America. Since JOY is a ministry, the orientation and implementation of the program will reflect the Orthodox Christian Faith, Tradition and Life.The mission and goal of the JOY ministry is to lead our young people into experiencing the Holy Orthodox Faith. By developing a personal relationship with our Lord and Savior, Jesus Christ and becoming active sacramental members of the living church, our young people will be equipped with tools necessary to assist them in their journey toward salvation. By laying a foundation of faith at this age, the young people will have something that will guide and strengthen them as they progress into junior high and high school. Here is a JOY HOPE Registration Form 2015 to join our group! You can fill it out and can hand it directly to a JOY/HOPE adviser. Please email Rose with any questions. When I receive it I will email to confirm that I received your registration. We are looking forward to another fun year with the children making friends and great memories!! !